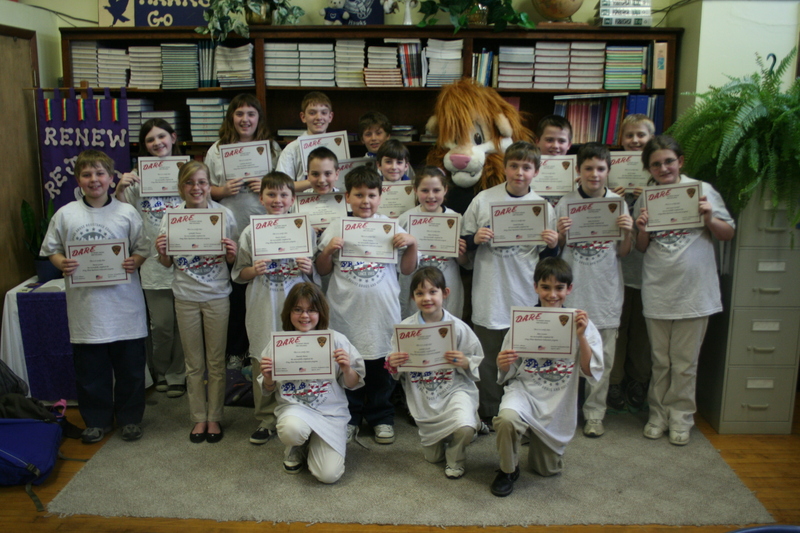 20 students graduated from the D.A.R.E. program on 4/4/11. 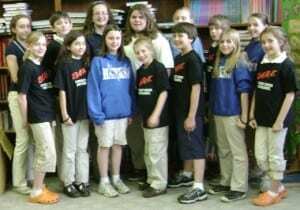 The students are in the 3rd and 5th grades. 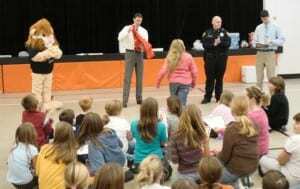 72 students graduated from the D.A.R.E. program on 3/25/09. The students are in 5th grade. 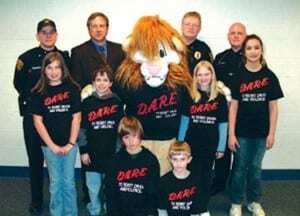 Seventy-two Clarion Area fifth graders recently completed the ten week Drug Abuse Resistance Education (DARE) course taught by Clarion Borough Police Officers Neil Kemmer and Scott Robinson. 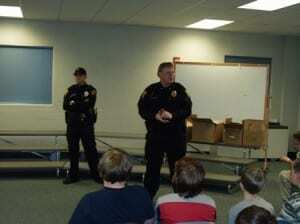 The program teaches children the dangers of drugs, alcohol, tobacco, and bullying. 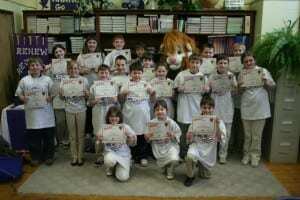 The students received certificates and T-shirts for completing the course. 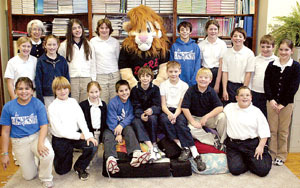 Pictured here (back row, from left) is Officer Kemmer, Clarion Borough Mayor John Stroup, Clarion Borough Police Chief Mark Hall, and Officer Robinson, (middle from left) Jennifer Peters, Anthony Baker, Daren, the DARE mascot, Keanna Over, and Tessa Mays, (front, from left) Greg Kerr and Alex Struble. 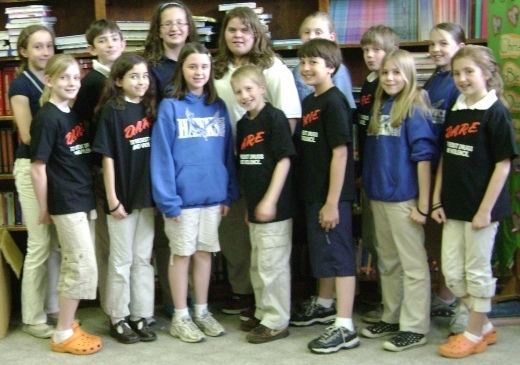 13 students graduated from the D.A.R.E. program on 12/09/08. The students are in 5th grade. 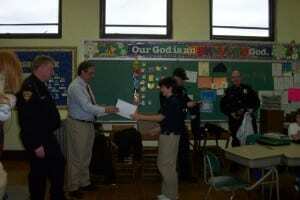 15 students graduated from the D.A.R.E. program on 4/29/08. The students are in 5th grade. 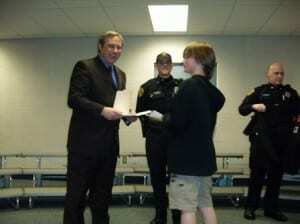 61 students graduated from the D.A.R.E. program on 12/19/07. 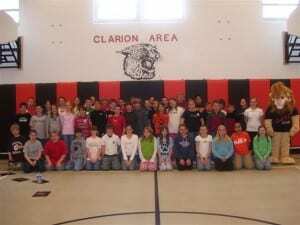 The students are in three fifth grade classes at Clarion Area Elementary School. Above, Officer Scott Robinson and Principal Todd MacBeth hand out D.A.R.E. graduation shirts and, fifth grade teacher Mr. Mike Nimelli hands out D.A.R.E. graduation certificates. 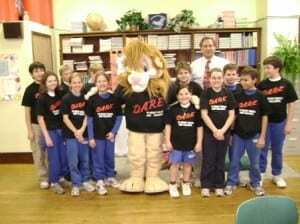 While Daren, the D.A.R.E. mascot looks on. 58 students graduated May 2007 from the D.A.R.E. program. The students were in three fifth grade classes at Clarion Area Elementary School. 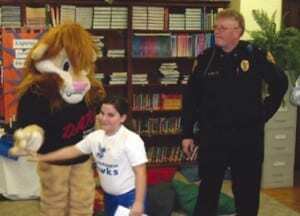 Above, Officer Scott Robinson speaks to the Clarion Elementary students about D.A.R.E, as Daren the Lion listens in on the discussion. Seventeen fifth grade students at Immaculate Conception School in Clarion received graduation certificates from the Clarion Borough Police Department after participating in a 10 week Dare drug prevention program presented by Officer Scott Robinson. Here, a student receives her award from Mayor John Stroup. Also pictured are Officer Robinson (left) and Councilman Rich Herman.